Professionals love the K2 because it makes proper positioning of clients and patients easy. Clients love the K2 because it feels sooooooo good! This section, Part III, examines the preliminary exercises on the K2. If you are new to the K2, these exercises are a great way to start. Practice these exercises until you feel proficient and before going on to more challenging K2 exercises in Part IV. 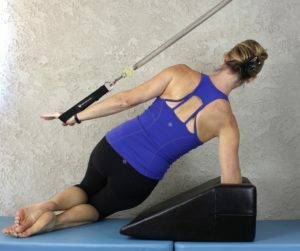 The elongation and ease the K2 lends to movement is going to make this a patient and client favorite.